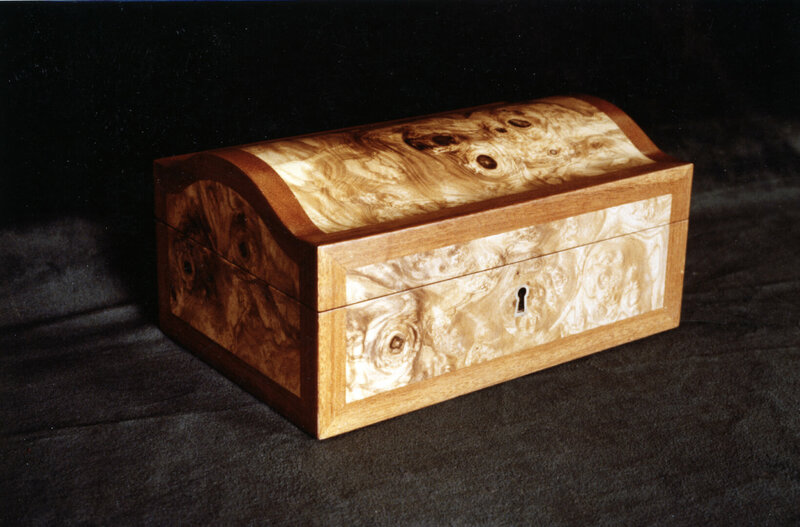 Olive-Ash arch-topped jewelry box with rosewood tray inserts and music box. 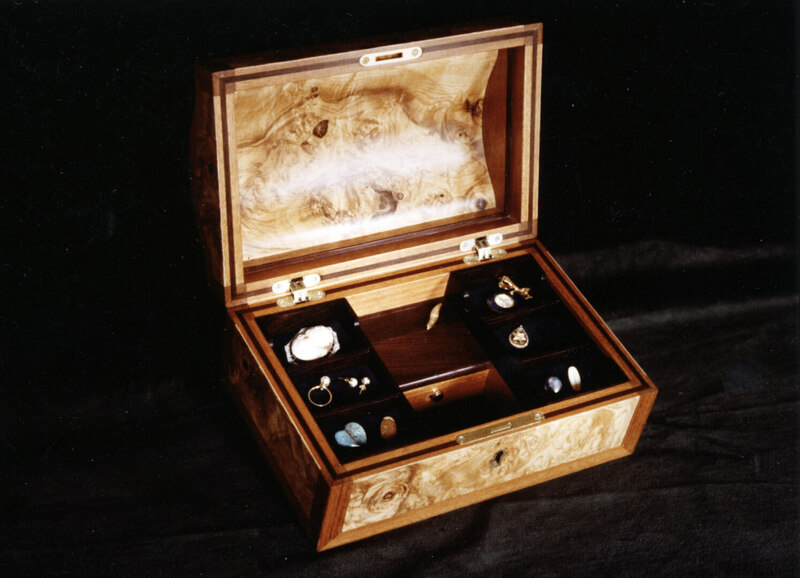 The rosewood earring trays nested on top of larger compartments for necklaces and larger pieces of jewelry. The wind-up music works played “Edelweiss” (click to enlarge).